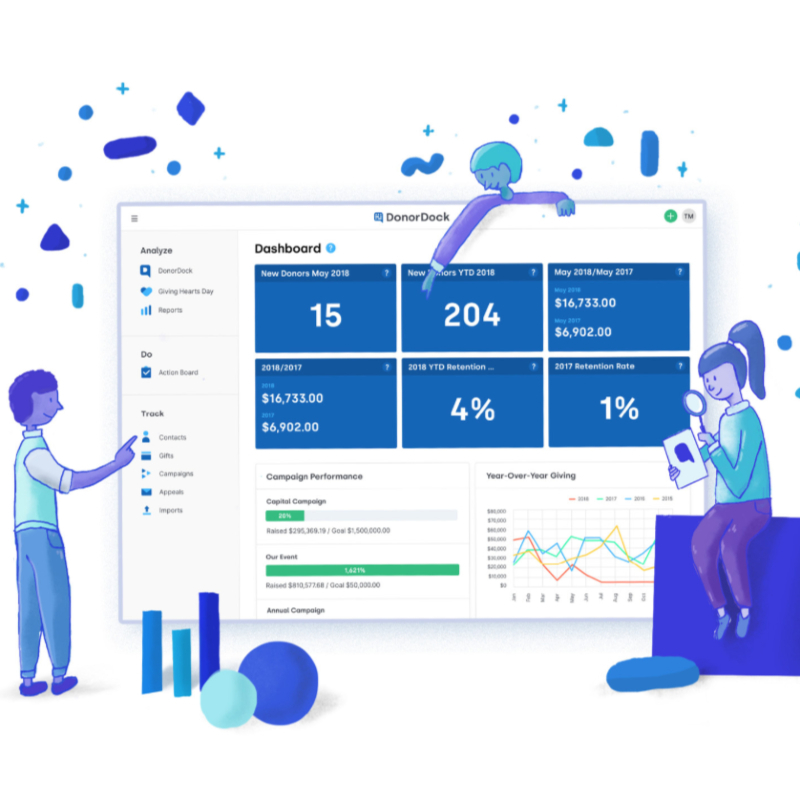 DonorDock is a software we've come to love at Unseen. Subscriptions can cost over $700 every year, but we're able to offer free, lifetime subscriptions to our partners, thanks to a generous gift from the DonorDock founder and team. If you're interested in learning more or giving the software a try, let your partnership manager know. No more "falling through the cracks." Effective Donor Management software is crucial to ensure no relationship gets lost or forgotten. maximize your time, and stop worrying about what you should be doing, so you can focus people, not software. You'll be responsible for completing a 30 day trial of the software to see if it's a good fit. If you'd like to commit to the new software, we'll send you a code that grants you lifetime access to the software. You'll need to import contact information for donors. To use the software effectively, you'll need to spend some time inputting information, and following up with contacts. We may ask for feedback from you, or a quote that could be used to by DonorDock to to promote their software. This software is usually $700 / year, but it offered to you at no cost. Visit DonorDock.com to learn more. We've partnered with DonorDock to provide lifetime licences of their software at nocost to you. Although it's our intention and design that your licence would remain free in perpetuity, it's based on an agreement with DonorDock; If our agreement is nullified in the future, we may no longer be able to offer this software for free. How can I test this software to see if it's a good fit? Sign up for a free trial here. If it's a great fit, let us know, and we'll get you a code to receive the software for free. ...It's exactly what we've been looking for. This software is usually SO expensive- and we've never been sure whether it was worth the cost given our limited engagement in fundraising. But with UNSEEN's help, we're feeling a bit less daunted by moving forward our fundraising.